How Much Information Does a Doctor Have to Disclose? When someone goes to the doctor to receive treatment for an illness or disease, there is an expectation the doctor will provide the patient with worthwhile information about his/her condition and possible methods to heal it. While one would hope all doctors would be forthcoming about keeping the patient well informed, the unfortunate reality is the amount of disclosure provided by doctors varies widely, and the failure to give sufficient information can constitute medical malpractice. Given that the patient is putting his/her trust and health in the hands of the doctor, it is reasonable to expect that some information would be conveyed to the patient. Patients need this information so they can make an informed decision on moving forward with medical treatment or not, and Florida law supports this concept by requiring doctors to obtain a patient’s informed consent prior to performing any procedure or providing other types of medical treatment. The purpose behind informed consent is to protect a patient from undergoing a procedure or treatment he/she would view as too risky if the potential implications were understood. However, how much information is considered sufficient for informed consent, and what exactly is a doctor legally obligated to tell a patient? These issues will be explored below. In order to start any medical malpractice case, it must first be shown that the doctor owed a legal duty to the injured patient. This legal duty arises when the doctor accepts a person as his/her patient, creating the doctor/patient relationship. This relationship requires the doctor to maintain an appropriate level of care that varies by the particular circumstances of each case, and part of this duty is obtaining informed consent from the patient before administering treatment, unless it is an emergency situation. A signed consent form from the patient is automatically considered valid and enforceable, but the patient does have the ability to contest its validity. One basis to do so would be to claim the patient was not sufficiently informed, and thus could not provide reasoned consent to the suggested medical treatment. 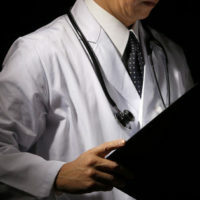 If the consent is ultimately determined to be valid, the next step in a malpractice case is to look at whether the doctor breached his/her duty of care, which is measured by whether the chosen courses of treatment would be considered appropriate and acceptable by the medical establishment under these specific circumstances. So, what information is a doctor expected and required to provide to a patient? Generally, a doctor must inform a patient about his/her diagnosis and the associated risks of the treatment options. Specifically, a doctor must inform patients about potential serious side effects of prescribed medications, and the types of possible complications that the proposed procedures can pose. For medications in particular, especially strong pain medication, the doctor should inform the patient about the dangers of driving, consuming alcohol and combining the controlled substance with other prescriptions. These warnings are necessary to protect against injuries to third parties since medication can significantly impair a person’s motor skills and cognitive functioning. In addition, the doctor needs to make sure the patient reasonably understands the information provided. Note that courts are unlikely to accept a doctor merely giving a patient a list of instructions and precautions, over a one-on-discussion of treatment options, as sufficient to create informed consent. If the patient does not reasonably appreciate the information communicated, any consent provided may not be legally valid, and the doctor could be liable for any related injury to the patient. If you were injured by a doctor’s actions, contact a medical malpractice attorney to learn if you can take legal action. Malpractice cases are highly complex matters that involve may different laws and regulations. Only an experienced medical malpractice attorney will know the best way to present a particular case, and the medical malpractice attorneys at the Miami law firm of Pita Weber Del Prado are ready to advise you on the merits of your case. Contact us for a free consultation.